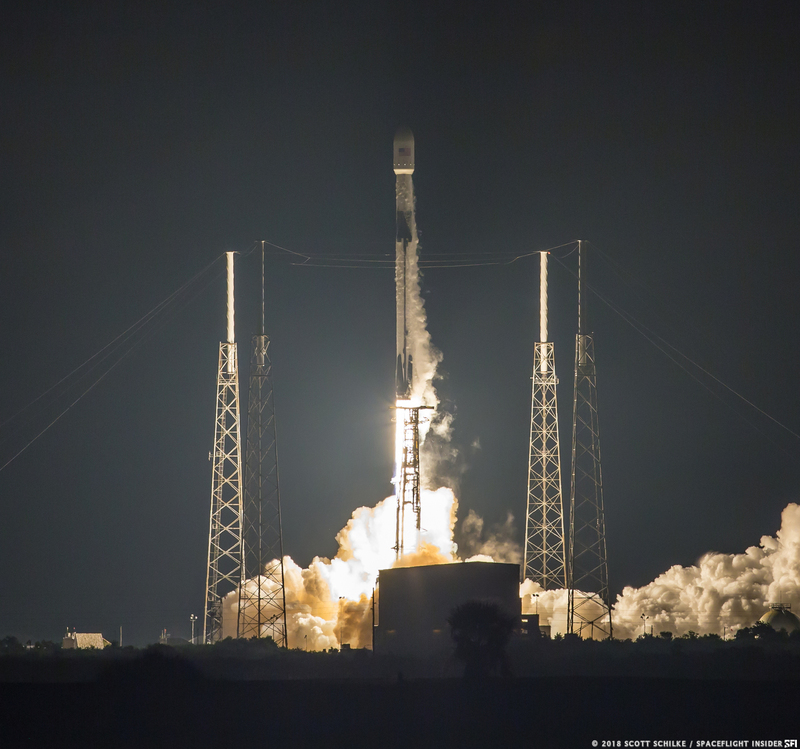 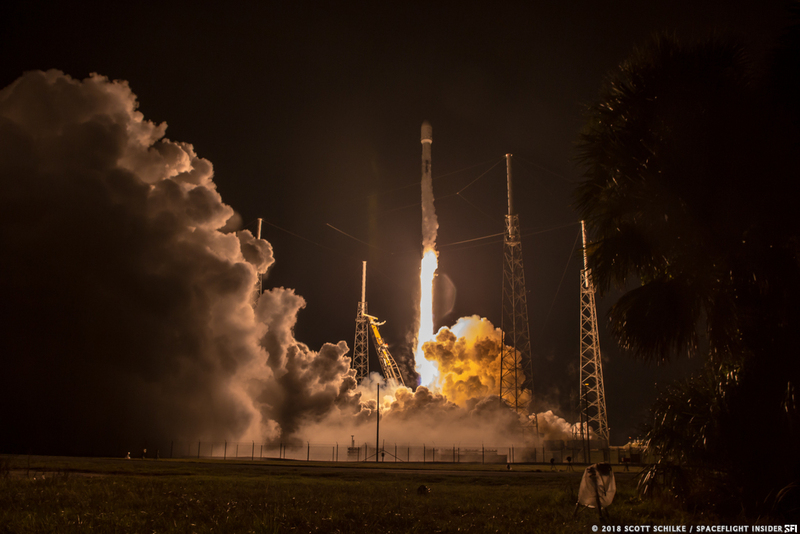 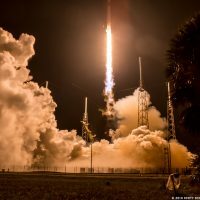 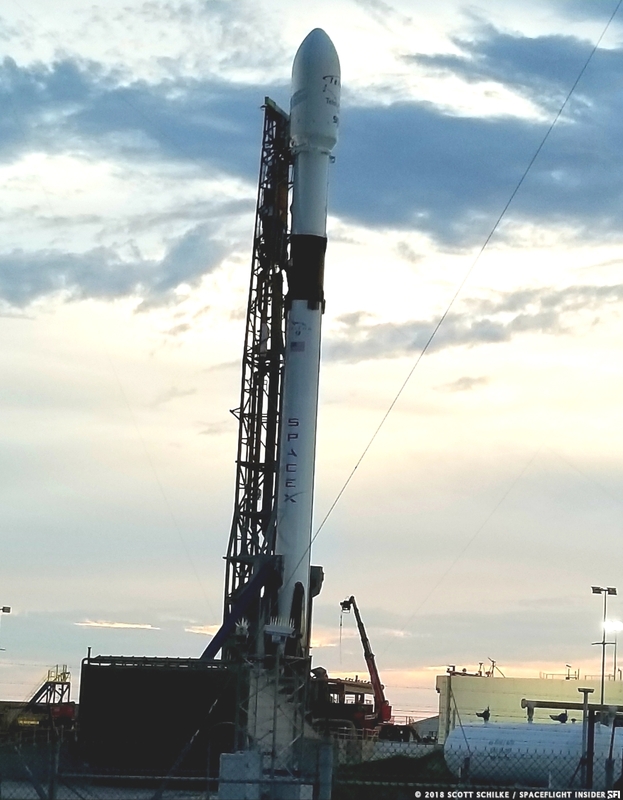 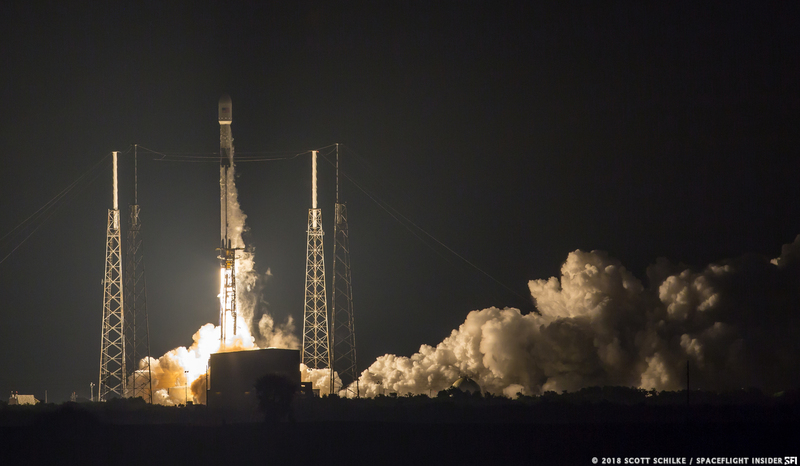 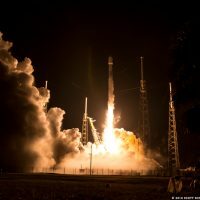 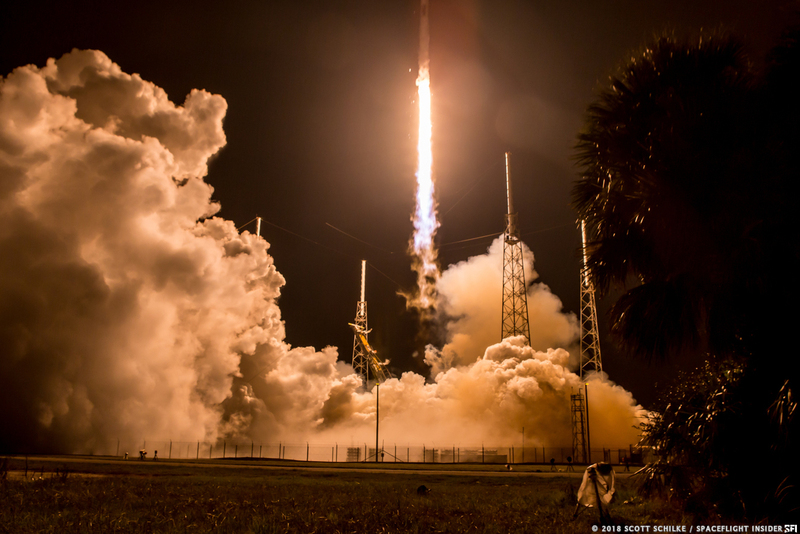 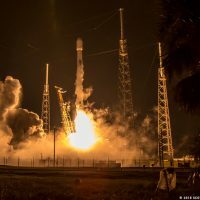 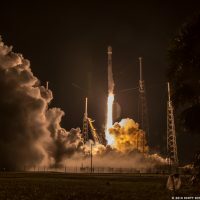 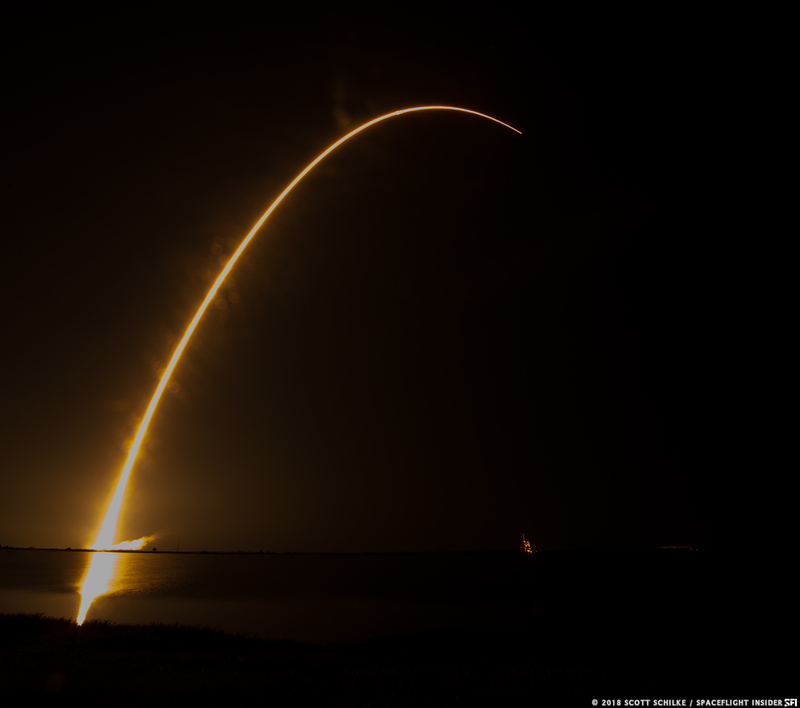 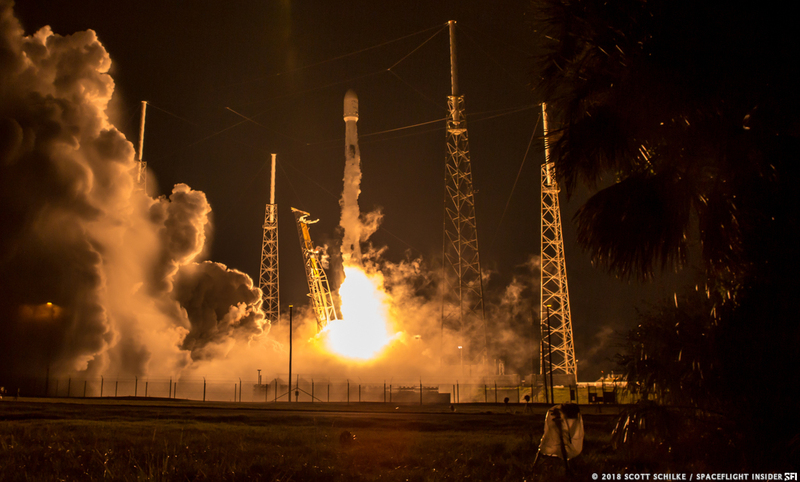 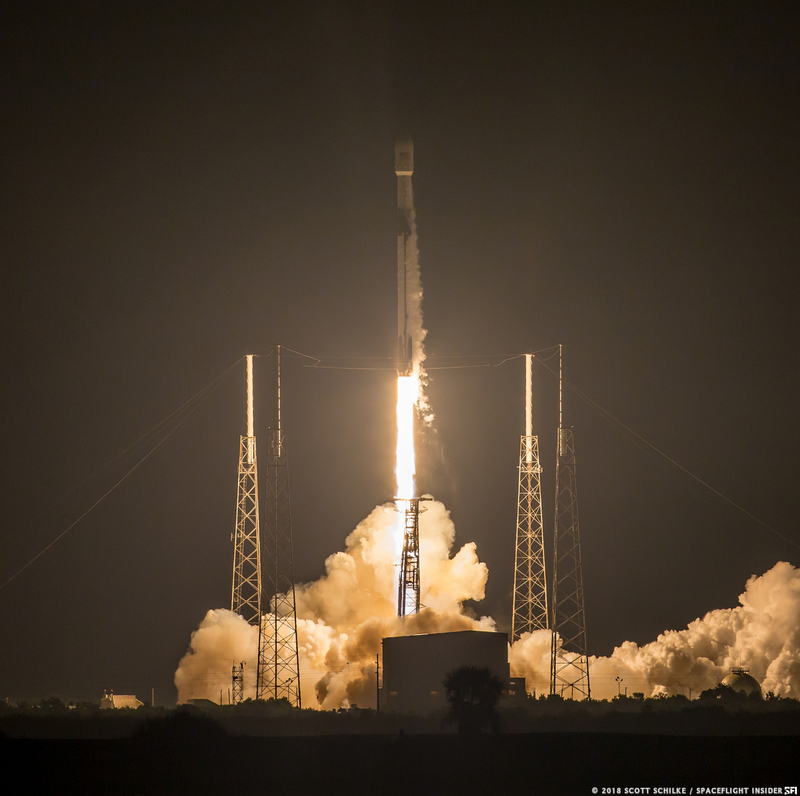 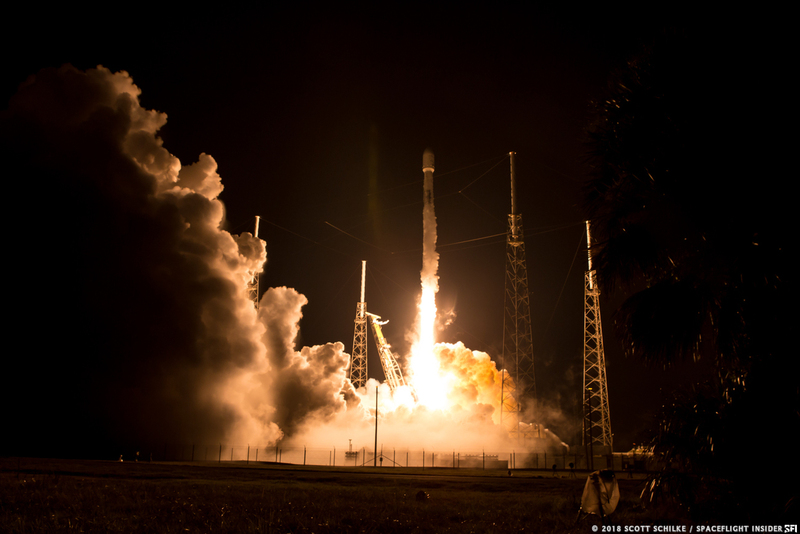 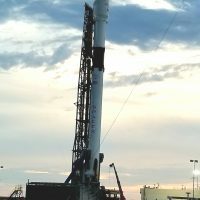 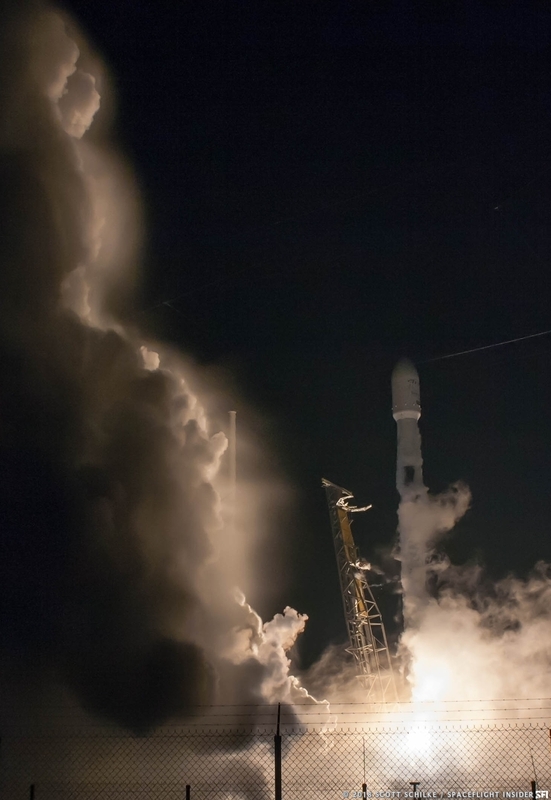 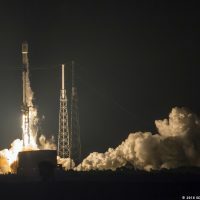 CAPE CANAVERAL, Fla. — Launching in the early-morning hours of July 22, 2018, SpaceX’s Block 5 Falcon 9 sent the Telstar 19 VANTAGE satellite into space. 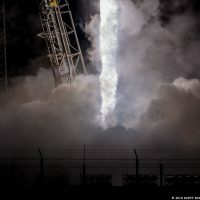 This was the second flight of the latest version of the company’s rocket. 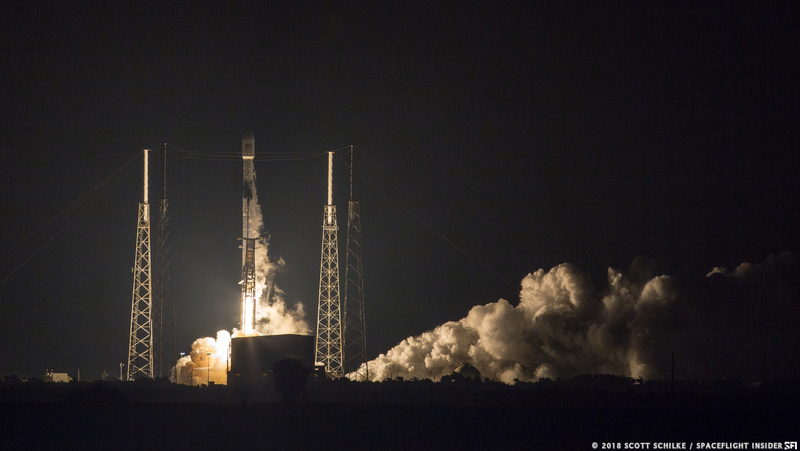 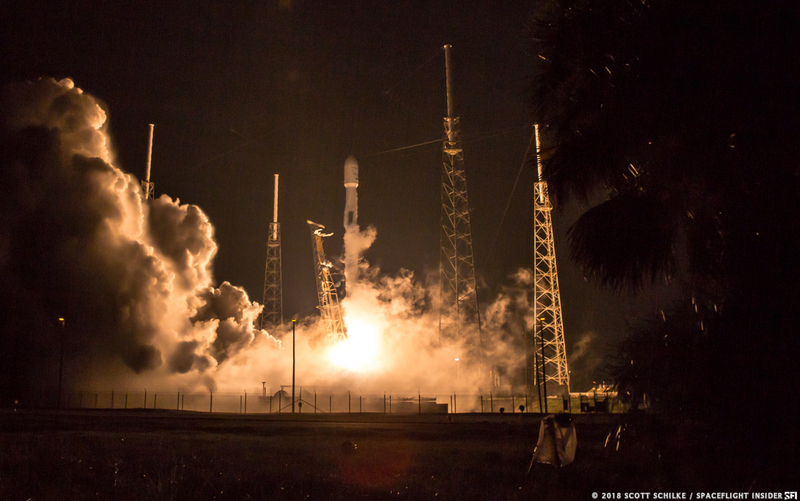 Liftoff took place at 1:50 a.m. EDT (05:50 GMT) from Space Launch Complex 40. 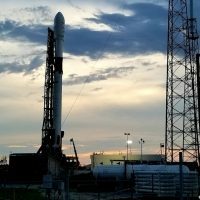 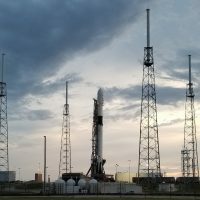 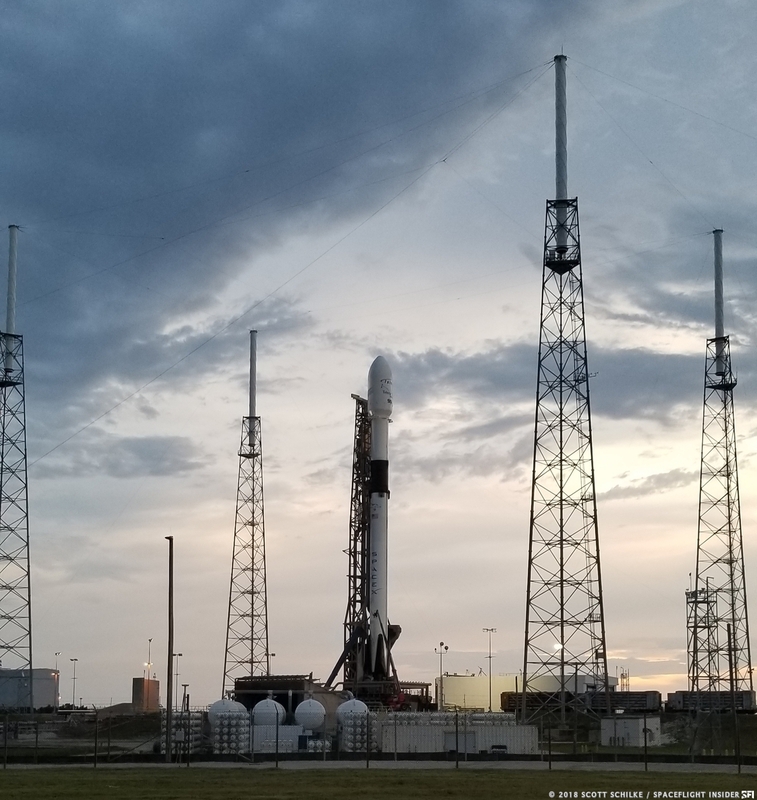 There was a 40 percent chance of unfavorable weather occurring during the four-hour launch window. 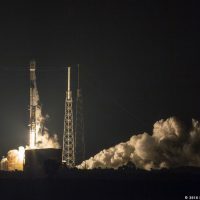 However, “no go” conditions stayed away and the flight took place on time at the beginning of the window. 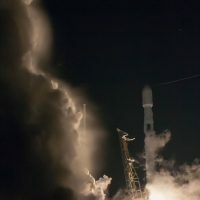 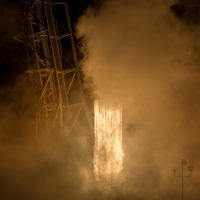 After the Falcon 9’s nine first stage Merlin 1D engines ignited, their combined 1.7 million pounds (7,600 kilonewtons) of thrust propelled the vehicle off the pad to send its 15,600-pound (7,076-kilogram) payload skyward. 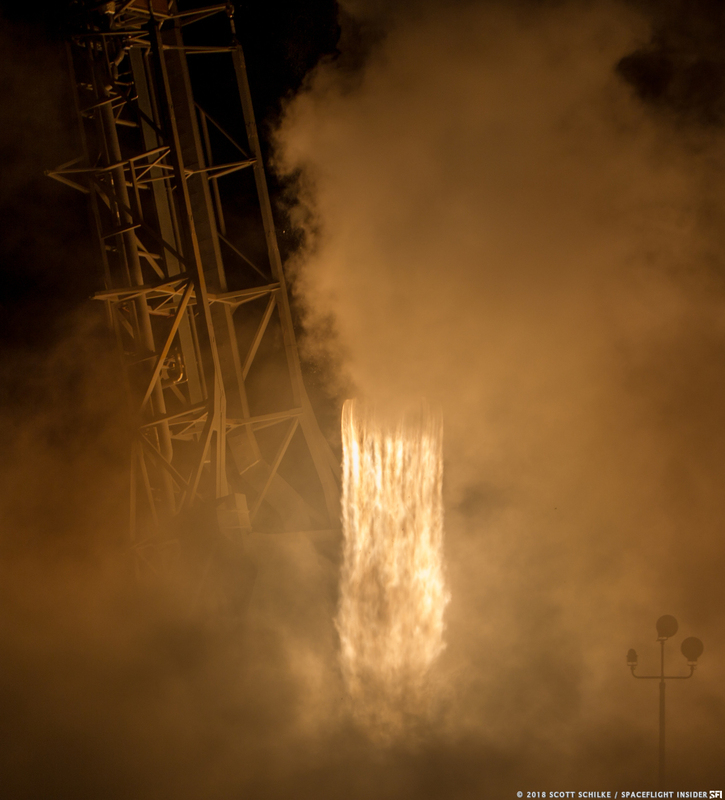 About 2.5 minutes later, having competed its job, the first stage separated from the stack. 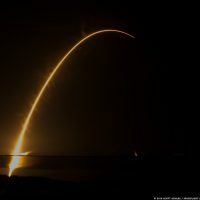 It continued on a parabolic trajectory, performing a series of burns along the way, to land on the drone ship “Of Course I Still Love You,” downrange in the Atlantic Ocean. 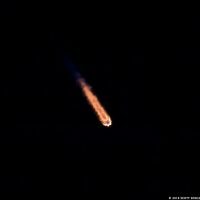 Meanwhile the second stage continued powering toward orbit with its single Merlin Vacuum engine, which ignited seconds after stage separation. 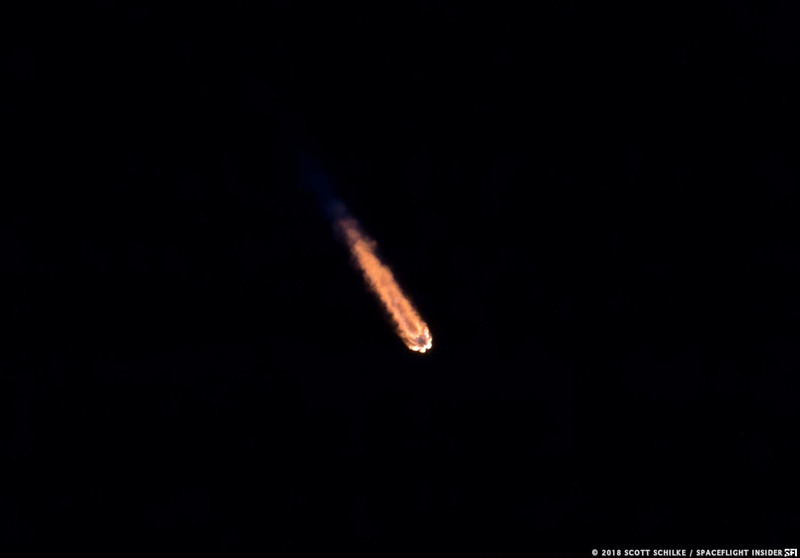 About 8.5 minutes after leaving Florida, the stage and its payload reached a low-Earth parking orbit. Then 18 minutes later its engine re-ignited for about 50 seconds to raise the high point of its orbit, achieving a geostationary transfer orbit. 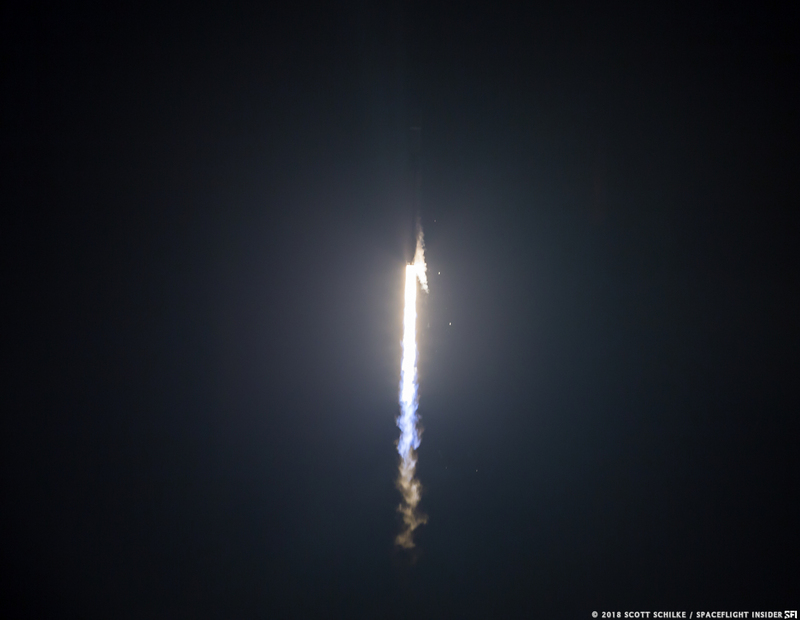 After a mission elapsed time of about 33 minutes, Telstar 19 VANTAGE was deployed from the rocket. 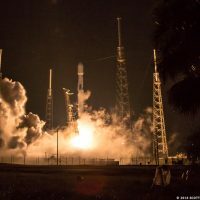 The satellite will use onboard propulsion to circularize its orbit some 22,300 miles (35,900 kilometers)—geostationary orbit—and move into the orbital slot at 63 degrees west to provide communications coverage between northern Canada and South America. 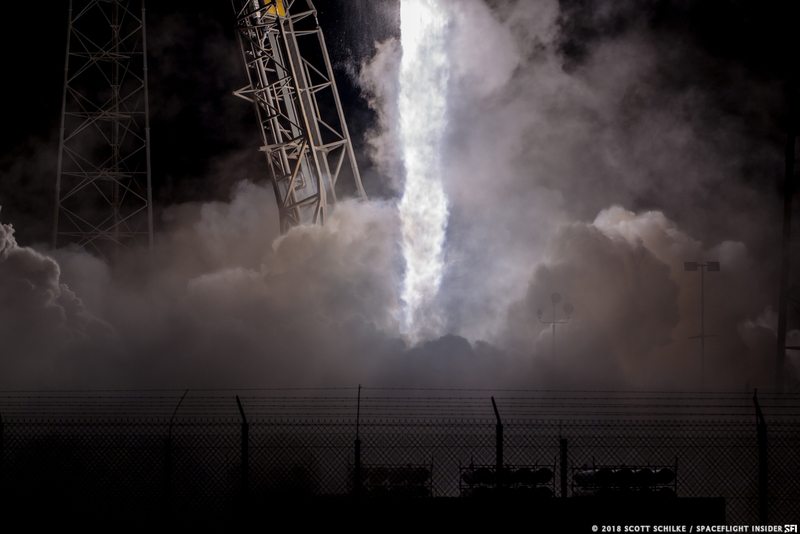 Photos courtesy of Scott Schilke and Graham Smith of SpaceFlight Insider’s visual team.